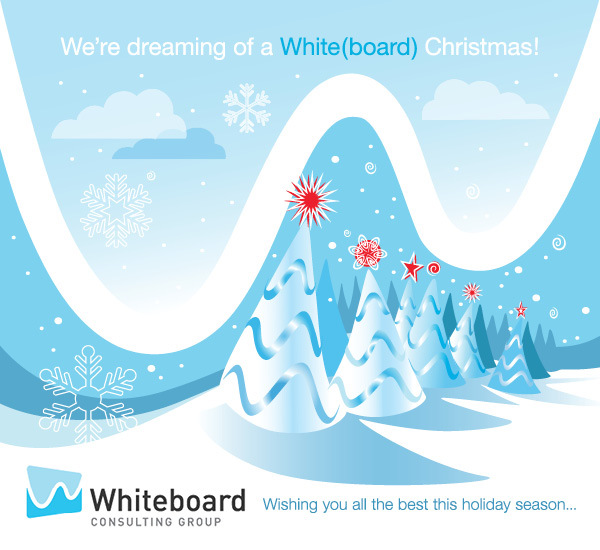 December 2013 - Whiteboard Consulting Group Inc.
See you back here for fresh posts in the New Year! Ruth and I have been focusing on being more explicit. And if you know me, that doesn’t mean expanding my potty mouth. I’m quite….colourful in my diction. What I mean is, Ruth and I are working on being more clear. Perhaps saying a little more than we’re used to. Maybe writing a little more than we’re used to. Making sure we, and our clients, and our colleagues are all on the same page. When you spend as much time together as Ruth and I do and also think almost exactly the same way, we know exactly what the other is thinking. We barely need to say a word to one another. Usually we finish each others sentences, or chime in to a conversation in stereo with the both of us saying the exact same thing. That’s what makes it so hard sometimes to explain to others exactly what we mean. Since we seem to have a brilliant insight into each others minds – we barely need to say much to know exactly what we need to do. 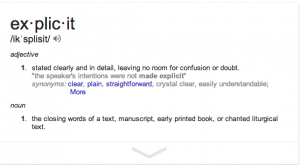 So what does being explicit actually mean? See below! “Well, it depends, sometimes its like this, but if this happens I might do it this way….or that way….I’m not really sure”. When your processes aren’t explicit it means you don’t really have a process, and you are going with the flow and changing things ad-hoc – which is great if you are a new organization that is still getting into its groove. But as soon as you start to mature, things may start to fall through the cracks. Be Explicit…B-E Explicit. B-E-E-X-P-L-I-C-I-T (clap clap). By documenting a process and clearly defining the roles, responsibilities, and tasks in a step, you and the team you are functioning with are able to very clearly understand what they need to do, in what order, with what inputs, and producing what outputs – consistently – every time. You start to understand what works and what doesn’t, and be able to improve your process. So how can you get your organization on board to be more explicit with their processes? Other than calling us in for a consult you mean? 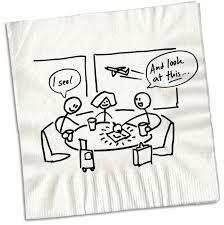 What about facilitating your very own process mapping session to understand what everyone is doing? Schedule it: Find a date and time where you can get all the people that touch the process to be in a room together to spend 2-3 hours on specifically mapping a process. Get your Materials: Get some brown craft paper, or flip board paper, post it notes, and markers. Set the Ground Rules: Let everyone know that this is an open session that will involve lots of voices. Make sure the room is respectful, allows for open conversation, but also sticks to task – you’re probably on a timeline. 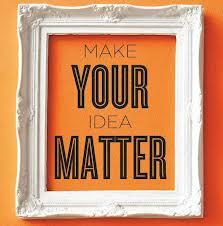 Ask questions: Use open ended and probing questions to help you get the starting point, and subsequent steps. Remember you are documenting what ACTUALLY happens – not what SHOULD happen ideally. Think questions like: Where does this process start? What happens next? Is that what ACTUALLY happens? What does happen? Who takes care of this? Who is ultimately accountable? Where does this go? What do they do with that document? Just Draw it: Check out our process mapping techniques from our past blog here. Identify your swim lanes, use your shapes, number your steps…you get the idea. Make it neat: It may look like a sloppy mess with lines everywhere. Go right to your desk and redraw it neatly, or document it in a software package that either you or your team have access to (Visio is easy, but you can also use others). Validate it: Send out your new neat copy to everyone at the session, maybe people who were absent, a trusted client or external partner. Get them to see what might have been missed or captured on paper incorrectly. Have then send you their changes/edits/questions. Depending on the number of changes and whether they make sense, you may be able to finalize a new document – or you might need an in person session to validate your work. Either way, you will end up with a current state process map! Hooray. And now you can be explicit. *#&*$(&# that was a lot of work! Step Three: Imagine It! In which you brainstorm potential solutions to process issues and draw how they might look. Step Four: Prove It! In which you build the case for the improved process you want to implement. But at a minimum, you’ve gained some clarity on a process, and have a good idea of what’s going on and how to fix some things that have been the pebble in your shoe. Let us know if you’ve had experience (good or bad!) with process mapping sessions and whether any of the tools above resonate with you. Please use the comment space below or tweet us @whiteboardcons! And don’t forget to send us any general process improvement questions or suggestions for future blogs. We’re finally at the last of the five steps of The Whiteboard Way© – Talk About It. There is a trick of course – it’s not just talking about what you’ve been doing. It’s communicating the right information, to the right people, using the communication method that they prefer. Or, it’s about effective communication. all the potential solutions, and proving that the solution you choose is the right one. Step One: Define It! In which you describe the problem without assuming a solution. Step Two: Draw It! In which you visually express the problem in its current state. Step Three: Imagine It! In which you brainstorm potential solutions and draw how they might look. Step Four: Prove It! In which you build the case for the solution you want to implement. nitiatives – effective communication, or the lack thereof. You’ve got the best idea in the world. You know it’s going to be big – your boss is going to love it, your colleagues are going to love it – heck, you may even get a raise. You’ve been doing all the steps of The Whiteboard Way©, working away at your desk on your lunch hours and even a couple of evenings at home. You’re super excited, and you finally are ready to let everyone know. You’re completely deflated. Don’t they see that this is a good thing? Later that morning you have your weekly one-on-one with your boss and you tell her all about your amazing idea. You pull out your process maps and explain what you’ve been working on. And that’s the end of that. What went wrong???? Think about Change Management. You may have read our post about the Change Curve a little while ago. In it, we talked about how people go through a series of emotions (Disbelief, Anger, Exploring and Acceptance) when confronted with a change in their lives. Some go through all those thoughts in a few seconds – they are very resilient people and love change! Others take longer, and you need to consider this when planning on implementing a process improvement change. , and what’s the right venue for it? Be Engaging. No, that doesn’t mean be all charming (although it can’t hurt). It means, engage people early in the process. Ask for their input, suggestions, and ideas. Bring them along your story, and make sure you have all your story elements (including ROI for your boss) figured out! Let us know if you’ve had experience (good or bad!) with communication and process improvement projects, and whether any of the tools above resonate with you. Please use the comment space below or tweet us @whiteboardcons! And don’t forget to send us any general process improvement questions or suggestions for future blogs.